Piloto tra. LEXUS IS200 DS2/IS2 2005 2.2 220d [2,2 Ltr. - 130 kW D-CAT], Año: 2008, Observaciones: null. Código interno para información: 304983. Repartos a toda España. ¡Llama ahora! Estaremos encantados de atenderte y responderemos con la mayor brevedad posible. Citroen DS4 2016-2018. Citroen DS5 2015-2018. - Black front LED fog light with cornering. Fog Lights. Front fog light LED for below vehicles The experts in Automotive Lighting. Rear Lights. - Bulb type: LED. Los 5 módulos de luz LED crean una cadena de iluminación. El DR305s puede caber cualquier tamaño, forma o ángulo de montaje para la máxima versatilidad. Equipado con sistema de montaje giratorio de 360 grados de PIAA. LEXUS IS200 DS2/IS2 2005 2.2 220d [2,2 Ltr. - 130 kW D-CAT], Año: 2008, Observaciones: null. No se realizan envíos internacionales en territorio insular. Slp have for sale a fog light to fit a citroen C1 2015- C 4 2011 DS5 2015- DS4 2011-2015 C Elysee 2012-2018 Berlingo 2009-2017 Relay and C4 Picasso and Grand Picasso 2013. The power cables for HID ballasts are included with the bulbs. 2 x H7 HID Xenon Bulbs (35W, AC). PART NUMBER: 12784. & DAIMLER DS420. DAIMLER SOVEREIGN (420). REAR INDICATOR LIGHT LENS. 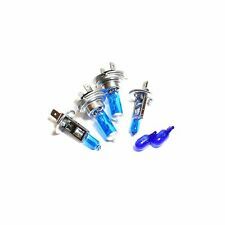 2 X 35W D1S/ HID Xenon Bulb Car Headlamp Head Light Lamp 6000K White. Bulb Base: D1C/D1S. Lamp Power : 35 Watts. Bulb Size Bulb Type Rated Life 3,000 hours. Ref Number 6325G5. This is the Left Hand (Passenger side on a Right hand drive) side repeater indicator light unit. this is fitted to the Citroen C3(MK2), C4 and C4 Picasso, DS3, DS4 and New C5. We are a main dealer for our franchised vehicles. Citroen C3 Picasso. CITROEN C3/DS3. Año de construcción: 11 / 09-. Año de construcción: 07 / 09-. Año de construcción: 01 / 09-. Año de construcción: 11 / 09-12 / 12. Antes del montaje, en particular la capa es garantizar que las piezas a instalar para lo vehículo correspondiente sean adecuadas. Luz central de freno LEXUS IS200 250 V6, Año: 2007, Observaciones: Luz de freno is200 ds2/is2. Código interno para información: 455430. Venta online a toda España, envíos rápidos en 24 horas. Desguaces GP. Citroen DS3 front fog light 2009- C3 Picasso 2009-2016 C3 2009-2016 and C4 Cactus 2014-2016. Fits either left hand or right hand (bulb included). Citroen DS3 Pair of Front Fog Lights 2009- C3 2009-2016, C3 Picasso 2009-2016 and C4 Cactus 2014-2016. Fits either left hand or right hand (bulb included). Model: DS3. Vehicle: Citroen. Year: 10/2009-12/2015. Product: Front Fog Light Lamp. Position on Vehicle: Pair Left & Right. You can use us for headlights, rear lights, door mirrors, mirror glass and covers as well as a constantly developing range of performance lighting. Citroen C5/Ds5 Luz Intermitente Delantero Indicadores Izquierda, 02/08-dir. Citroen C5 / DS5 Indicador Indicador delantero izquierdo, 02/08-dir. El sedán C5 y C5 BREAK (Ranchera). Modell C5 DS5. CITROEN C5/DS5. Parpadeo LUZ delantero izquierdo. Año de fabricación: 02 / 08-. 2x H4 Scheinwerfer Standlichtfassung / 2x H1 Scheinwerfer. Passend für folgende Fahrzeugtypen: Daimler DS420. Matching for following type of cars: Daimler DS420. - E-Prüfzeichen, TÜV-fähig. - 2x H4 headlight parking light socket / 2x H1 headlight. 396110 - FARO DIURNO DELANTERO DERECHO CITROEN DS3 Style | 05.11 - 12.15. Vuoi che ti assicuriamo che questo pezzo corrisponde al tuo veicolo?. Voulez-vous que nous vous assurions que cette pièce correspond à votre véhicule?. Model: DS3. Vehicle: Citroen. Note: - LED DRL. Position on Vehicle: N/S Passenger Left. You can use us for headlights, rear lights, door mirrors, mirror glass and covers as well as a constantly developing range of performance lighting. CITROEN DS3 2010 - 2015. FITS FOR : CITROEN DS3 2010 - 2015. 2X REAR NUMBER PLATE LIGHT LAMP PAIR. LEFT RIGHT. Y sobre todo si quieres 4 u 8 veces más bombilla brillo LED u otro. este anuncio es para lámparas de xenón 1 par. Tipo de piezas Bombillas, diodos xenon hid. H1, H3, H4, H7, HB3, HB4, 12V 55W. POWER PAR RECUPERACIÓN (. ). Citroen C2 C3 C4 C5 DS3. Rear Tail Light Loom Connector Repair Kit for Peugeot & Citroen vehicles. For fixing faulty tail light assemblies with overheated / burnt loom connector on. TAIL LIGHTS ON THESE MODELS VARY. BEPHOS RGB LED Innenraumbeleuchtung für deinen Citroen DS4. BEPHOS gibt es in zwei Produktlinien: „Style Line“ und „Design Line“. „Style Line“ sind RGB-LED-Module, „Design Line“ RGBW-LED-Module, also zusätzlich mit rein weißem Licht. & DAIMLER DS420. JAGUAR / DAIMLER OUTER HEADLAMP 7" CONVERSION KIT. XJ12 SERIES 1, 2 & 3. XJ6 SERIES 1, 2 & 3. 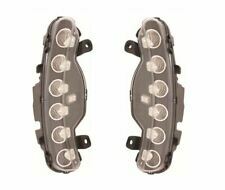 2 X HEADLAMP BOWL - HLB1 (54522342). 2 X ADJUSTER KIT - BHM7058J. Vehicle: Citroen. Model: C4 Grand Picasso Hatchback. Product: Front Fog Light Lamp. Position on Vehicle: N/S Passenger Left. You can use us for headlights, rear lights, door mirrors, mirror glass and covers as well as a constantly developing range of performance lighting. REFERENCE : AXO 2 ou SEIMA. Lamp removed from a 2013 ford focus hatch but they will fit 2011 - 2014 hatch only. Normal expected wear and tear ie storage marks. This is the rear driver side. Für Linkslenker und Rechtslenker. Neu und Einbaufertig. CITROËN DS5. passend für CITROËN C4 PICASSO II. Blinker im Aussenspiegel. BLINKER SPIEGEL SPIEGELBLINKER RECHTS FÜR SKODA OCTAVIA 1Z VW POLO 9N3 NEU OEEUR 20,90. Die Teile sind natürlich voll funktionsfähig und befinden sich in einem guten Zustand ! 6 Gang Schaltgetriebe. 396220 - PILOTO TRASERO DERECHO CITROEN DS3 Style | 05.11 - 12.15. Voulez-vous que nous vous assurions que cette pièce correspond à votre véhicule?. Nous pouvons le vérifier! Do you want us to assure you that this piece corresponds to your vehicle?.